Zero Hour is here! No, wait that isn't right. It is "Zero Month" for DC's New 52 books, and I am really excited (despite my dislike of the zero issue gimmick) to see if these books deliver like the rest of the New 52 has (for the most part). These zeroes are suppose to dive into the origins, back story we have been without on some titles for a year, and maybe just maybe some surprises. My bottom of the pile reads this week are: Thief of Thieves, Animal Man, Swamp Thing and Green Lantern. Every month this past year these books have been the ones I wait to read, because they are the great titles that month after month have delivered worthy reads. Geoff Johns, Scott Snyder, Jeff Lemire and Robert Kirkman have woven stories that make reading comics enjoyable and addicting. They have help though from some great artists, Doug Mahnke, Travel Foreman and Steve Pugh, Yanick Paquette, and Shawn Martinbrough. These guys have brought the stories they draw to life with their unique styles. I already itching to read these zero issues. Some other issue zeroes of note this week are Earth 2, Worlds' Finest, and The Phantom Stranger. Earth 2 and Worlds' Finest will be interesting, because they will hopefully show us a little bit more of the parallel Earth without the big three: Batman, Superman and Wonder Woman (The Earth 2 versions). I am half excited and half worried about The Phantom Stranger zero issue. Phantom Stranger is a key player in this New 52 and I'm curious to see more about him, but with it being written by Dan Didio I'm not sure if it will deliver. I know people have said that OMAC was a good read, but Didio's run on DC Universe Presents with the Challengers of the Unknown was not. Not to mention his run on the last few issues of my favorite team book The Outsiders before the New 52 was almost unreadable. We will see. Another issue of Creator-Owned Heroes is out this week and if you haven't been picking it up you are missing out on a comic/magazine that makes for some good reading. Jimmy Palmiotti, Justin Gray, Phil Noto, Steve Niles, Kevin Mellon and the rest of the Creator-Owned Heroes Gang have delivering a fun book that is a great book filled with two comics, interviews and other fun stuff. Put this title on your pull list. It is worth it. Valiant comics has two books out this week, and Valiant has found its way onto my pull list, because these books are awesome. Archer & Armstrong and Bloodshot are fantastic reads that just go to show readers that Valiant isn't messing around. They are delivering quality books from the ashes of the old Valiant, and I am hooked. I'm going to give the Cryptozoic/Penny Arcade book the Lookouts a try because it looks like a fun book. I've never read Penny Arcade myself, but I figure this is a good place to give something from them a try. Well I need to get to reading these zero issues and my other titles this week. 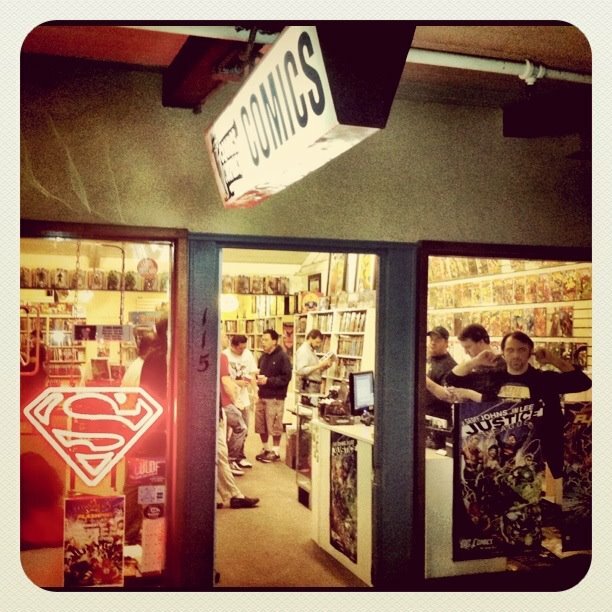 Get down to your local comic book store for your fix this week, and if you feel like trying something new go for it.